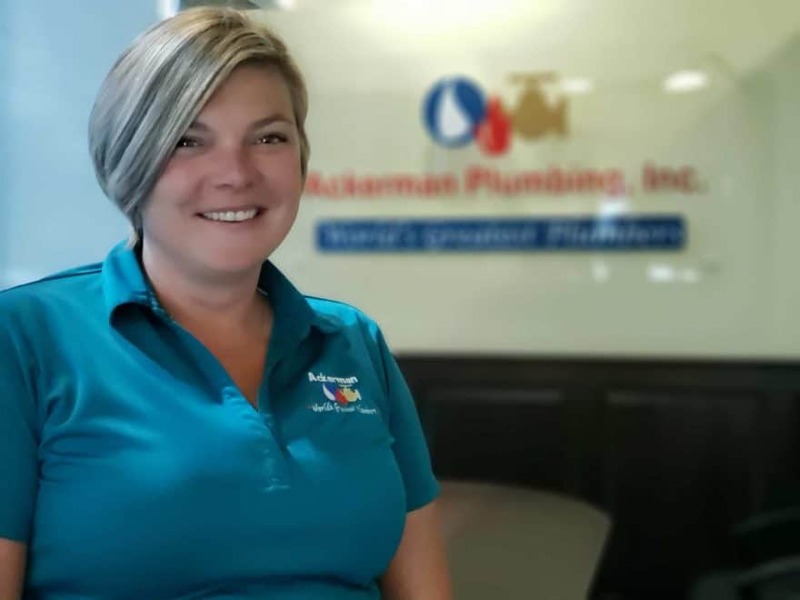 Carly Bonora is proud to say that “plumbing is in my blood.” It makes sense for Bonora, who grew up around plumbers, and is the fourth generation of her family to run 72-year-old Ackerman Plumbing Inc.
Bonora worked her way up to vice president and co-owner from humble beginnings in the family enterprise, mowing lawns and doing odd jobs. She couldn’t imagine doing anything else, she says. That feeling is shared by family and non-family employees, she adds, even as the company continues to grow. “We’re still a family business, and that’s how we operate,” Bonora says. Ray Ackerman, Bonora’s great-grandfather, founded the business in 1946 in Kenmore, New York. It was then known as Ackerman and Huebsch Inc. Ray’s son, James, took over operations in 1962, and the reigns were passed once again in 1996 to his son, master plumber Eric J. Ackerman, Bonora’s uncle. Bonora, a mother of two, formally joined in 2004 and became a co-owner in 2014. 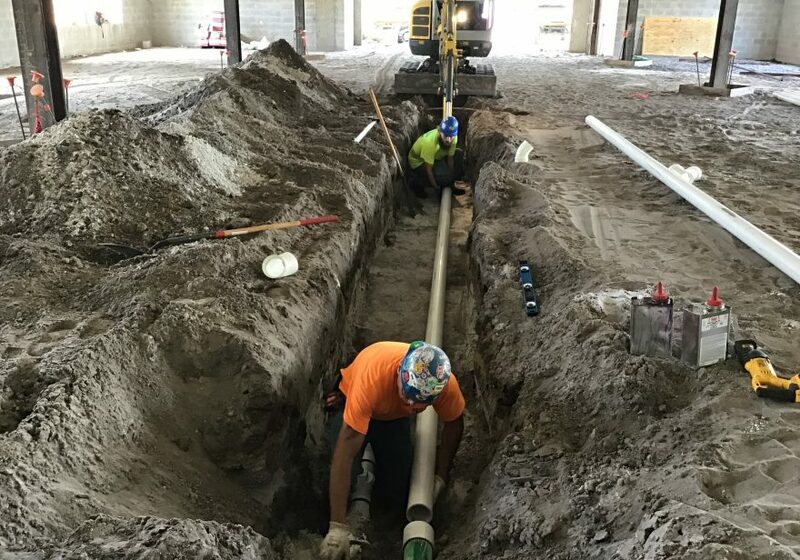 With offices in Tonawanda, New York, and Sarasota, Florida, and more than 180 employees, Ackerman specializes in commercial and institutional projects. Eric Ackerman launched operations in the Sunshine State in 2004 and has seen tremendous growth there, with sales volume doubling in Florida in the last three years, according to Bonora. She attributes this growth to the company’s aggressive bids for projects, including many that had been left to wither during the Great Recession and are still being resurrected 10 years later. “We don’t see the market slowing in Florida for the foreseeable future, at least on the commercial side,” says Bonora. Ackerman’s portfolio encompasses jobs in retail environments, including big-box companies such as Walmart, Target and Home Depot; hospitality, including Hilton and Embassy Suites; and also includes fitness centers, recreation areas, government buildings, correctional facilities, health care and educational institutions. The company also works on large residential projects, such as high-rise condos and upscale senior living facilities. Recent projects include a new $100 million Atlanta Braves spring training facility in Venice, Florida, set to open in 2019; a $237.5 million expansion to the Dr. Phillips Center for the Performing Arts in Orlando, slated for completion in 2020; and a $229 million, 365,700-square-foot expansion of the Gulf Coast Medical Center in Fort Myers, expected to be finished in September 2021. Ackerman prides itself on its quality of craftsmanship performed by highly-skilled employees. As Bonora explains, all of its plumbers are union members who have access to a five-year apprenticeship training program. In addition to its ingrained family values, high quality work and emphasis on partnerships, Ackerman has embraced 21st century technologies. Notable among these is Building Information Modeling (BIM), which creates a 3D model to represent plumbing systems throughout an entire building. As Bonora explains, it helps to identify any conflicts or re-routing issues, and reconfigures as work progresses. The company also makes use of ground-penetrating radar to locate rebar, conduit, post-tension cables and voids, and to determine concrete slab thickness—all in real time. Trimble unit robotic stations can lay out a complete plumbing project while providing real-time data directly to workers in the field. And the use of AutoCAD (computer-aided design) helps clients visualize what plumbing systems will look like in 3D, how they will be installed and how they will function. For its work on health care facilities, Ackerman has capabilities for gas piping installation, design and service—including oxygen, nitrogen, nitrous oxide, compressed air, vacuum, laboratory dust collection and cryogenic liquid. These technologies help the company meet deadlines, streamline processes, cut down on costs, and save time and resources, Bonora explains. As for the family member with plumbing in her blood? Bonora finds her job constantly challenging—as well as rewarding.